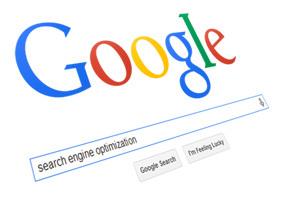 Search Engine Optimization is the process by which search engines Google and Bing! can find, index, and display your website to people searching for the services, products, or promotions your company offers. There is no greater tool for marketing your business than effectively using search engines like Google and Bing for internet marketing. Vektor Media’s search engine optimization and marketing expertise will help more customers find your business at the moment they are seeking your services. Your customers are out there, and they prefer to use the internet to search for products and services. If you’re spending your marketing budget on phone book advertising, or newspaper ads, you are wasting your money! Your website only works for you when your customers can find it. 95% of your potential customers never make it past the first page of search results. So, if you’re not on page one, you’re not being seen! We will help your website move to the top of search engine results for keywords used by your target audience. Spend your time doing what you do best…running your business. Hiring a SEO Marketing company like Vektor Media will not only save a great deal of time, but save a tremendous amount of money. We use the latest practices and tools to get you on page one of search engines like Google and Bing. Find the right keywords that will drive TRAFFIC to your website and move you up in the rankings. Appear in all of the major directories. Need a Louisiana search engine optimization or marketing strategy in New Orleans, Metairie, Mandeville, Covington, Slidell, Kenner, Gretna or Uptown New Orleans?